The company’s new Cloud AutoML lets you create an image recognition tool just by dragging and dropping. The fastest-growing business app is relying on machine-learning tricks to fend off a deluge of messages—as well as competition from Facebook and Microsoft. It was a fun experiment, but it’s time to shut it down. M users received messages that Facebook is sunsetting the service on January 19th. Silicon Valley is out for blood—and not just the rejuvenating blood of the young. Biomedical engineers are enthralled by the promise of liquid biopsies, noninvasive tests that detect and classify cancers by identifying the tiny bits of DNA that tumors shed into the bloodstream. India’s collection of citizens’ fingerprints, faces, and irises was meant to simplify identification for 1.13 billion, but it’s ignited a privacy firestorm. Within three years deep learning will change front-end development. It will increase prototyping speed and lower the barrier for building software. In this post, we’ll teach a neural network how to code a basic a HTML and CSS website based on a picture of a design mockup. Ensembles have rapidly become one of the hottest and most popular methods in applied machine learning. Virtually every winning Kaggle solution features them, and many data science pipelines have ensembles in them. Although there are a great number of RL algorithms, there does not seem to be a comprehensive comparison between each of them. This article aims to solve this problem by briefly discussing the RL setup, and providing an introduction for some of the well-known algorithms. Distrust of news organisations is likely to erode trust in government, too. That bodes ill for America’s president. This is a fun ditty by Vasco Asturiano. 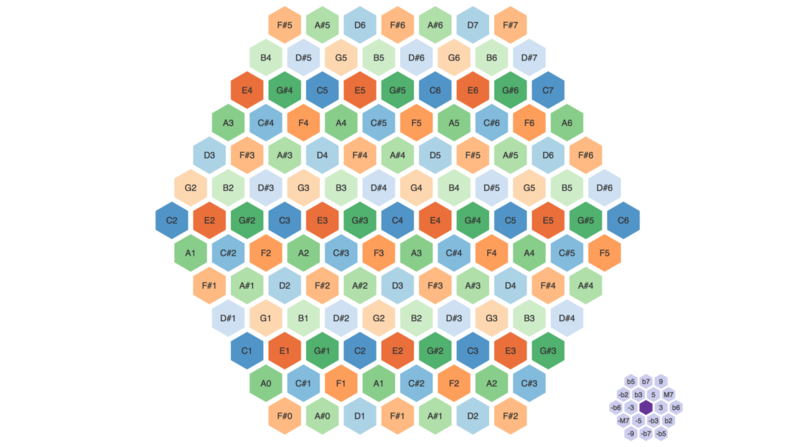 Notes can be arranged in different ways, and then you just mouse over the hexagons to play.